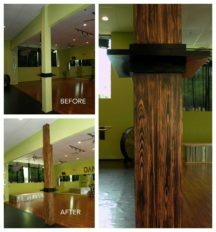 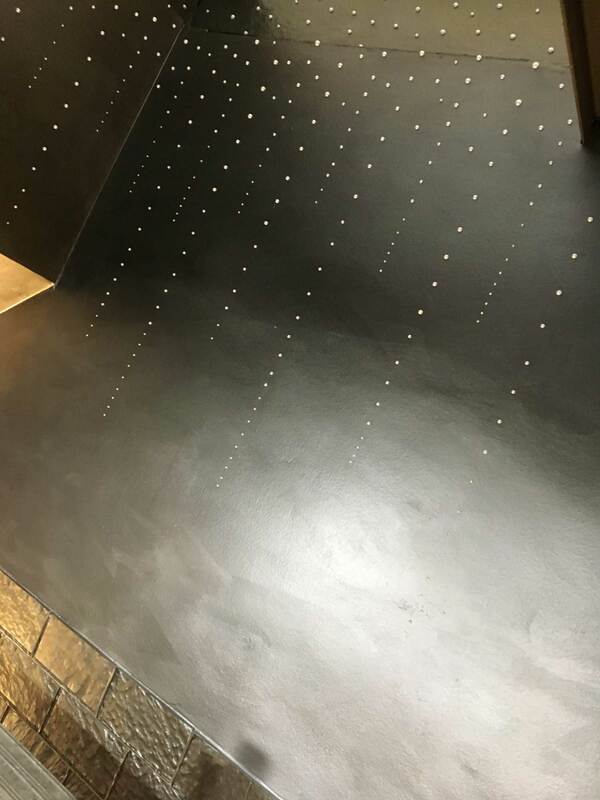 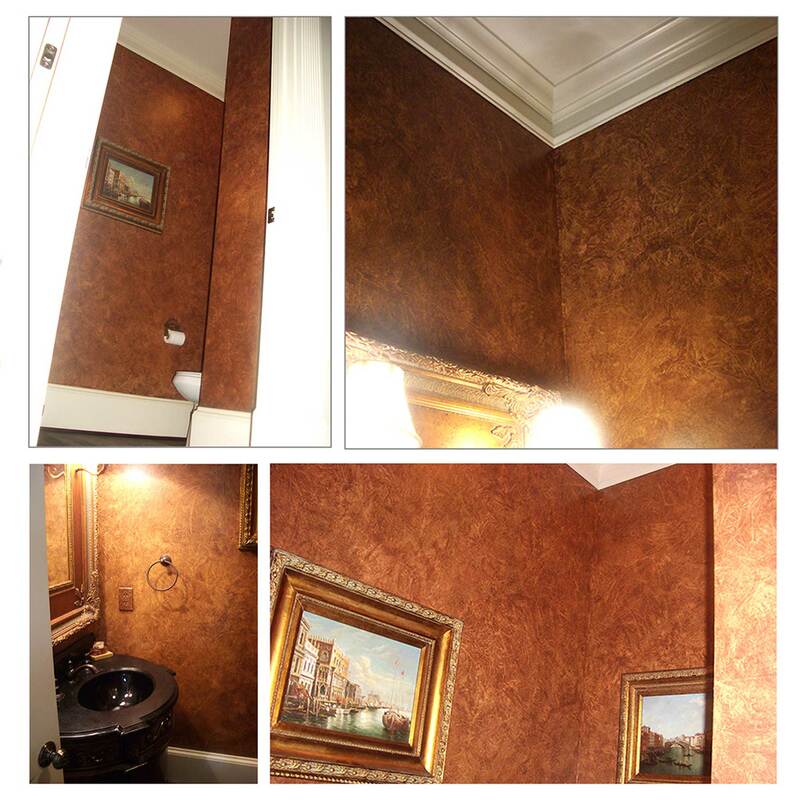 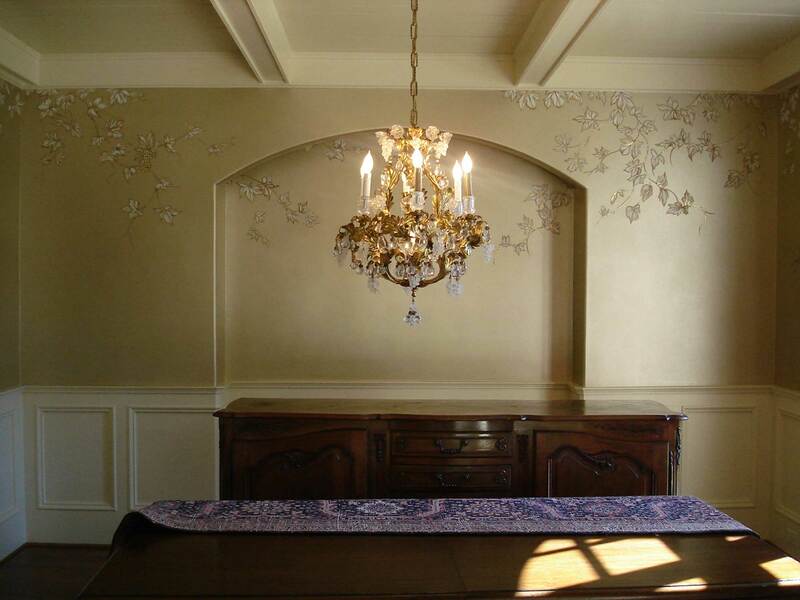 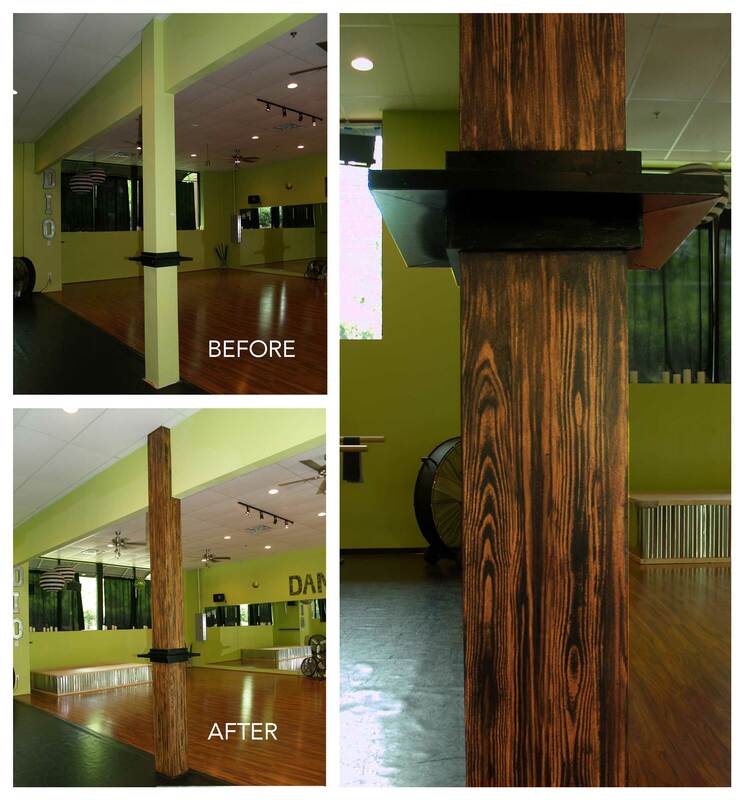 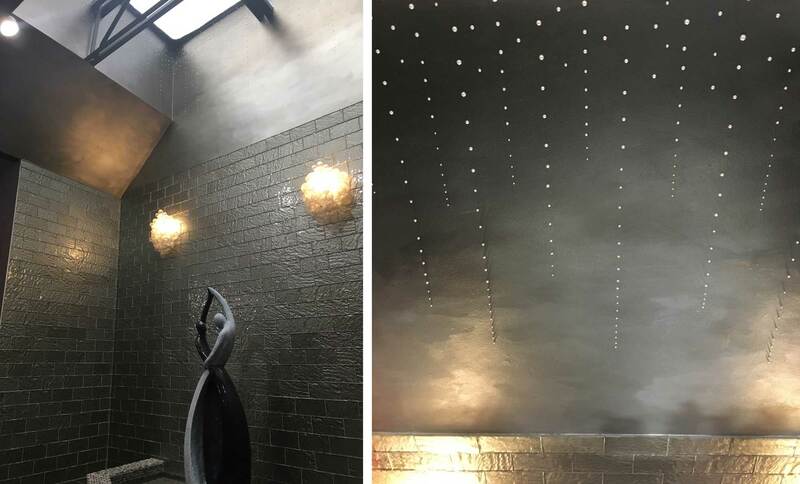 Megan McKeithan creates custom wall finishes for residences and commercial locations. 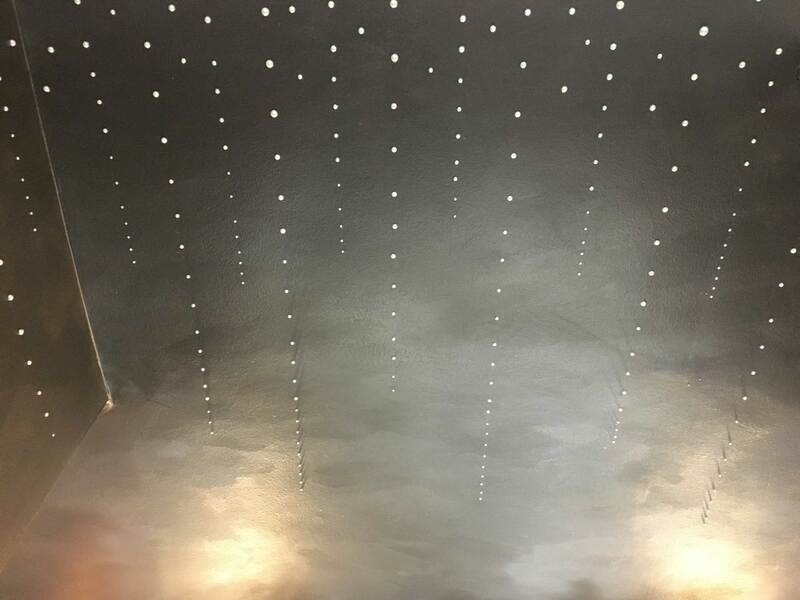 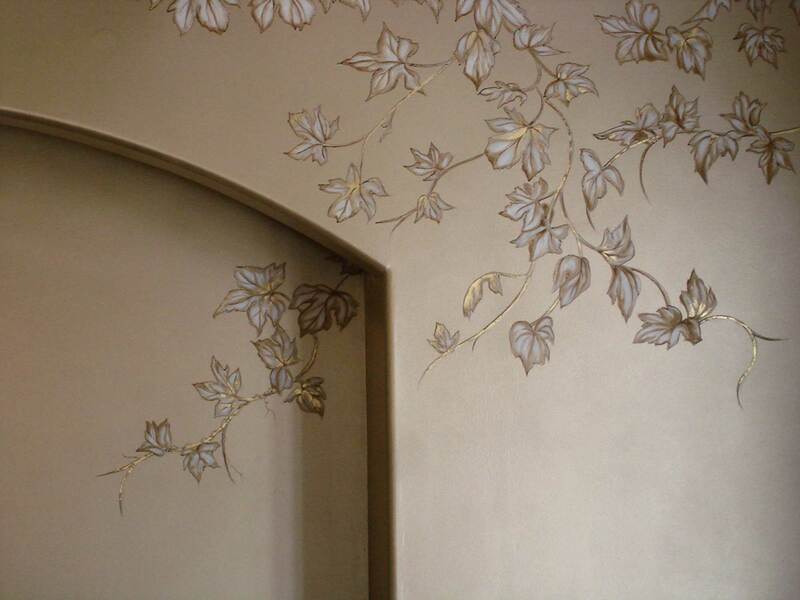 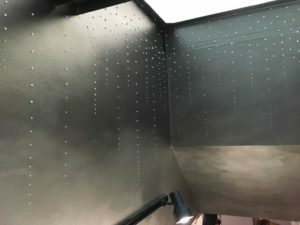 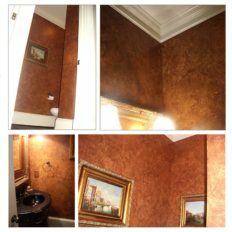 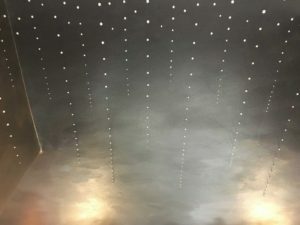 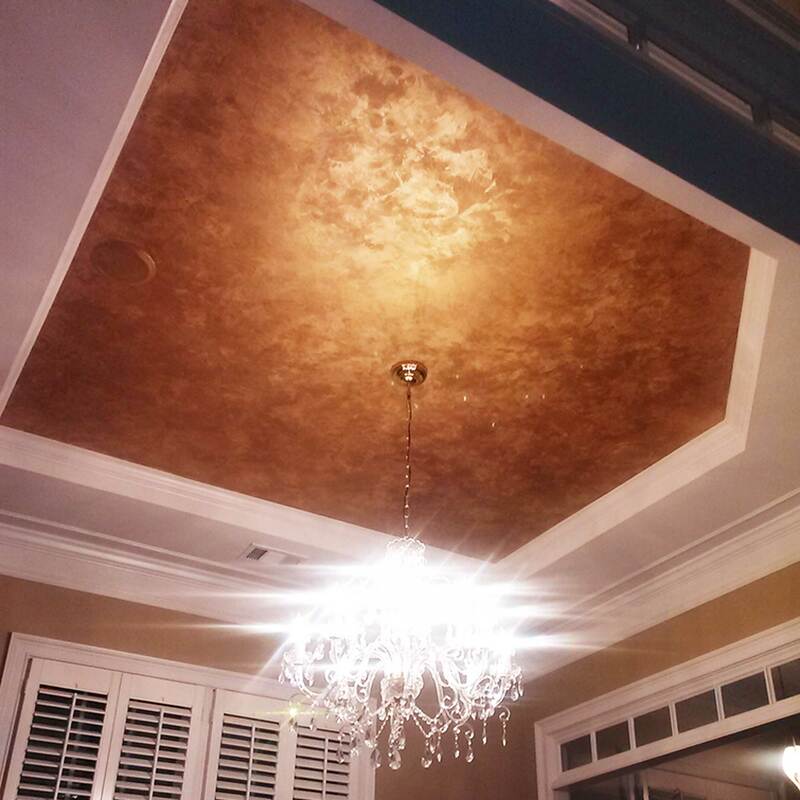 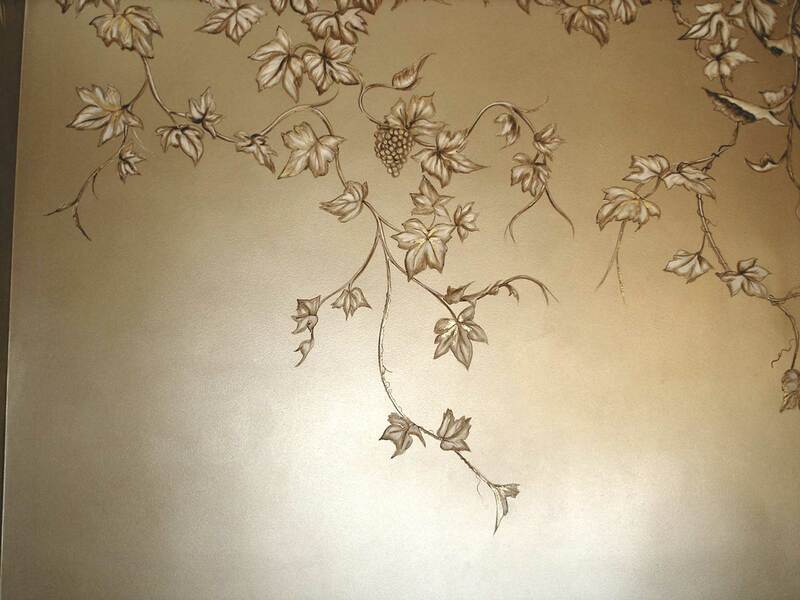 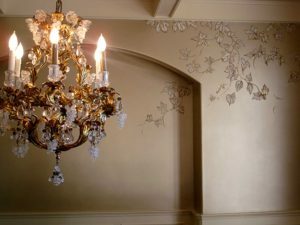 Often, she uses metallic paints and plasters in gold, silver, bronze, copper, or any number of colors, to create just the right effect for the wall or ceiling. 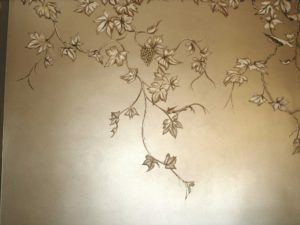 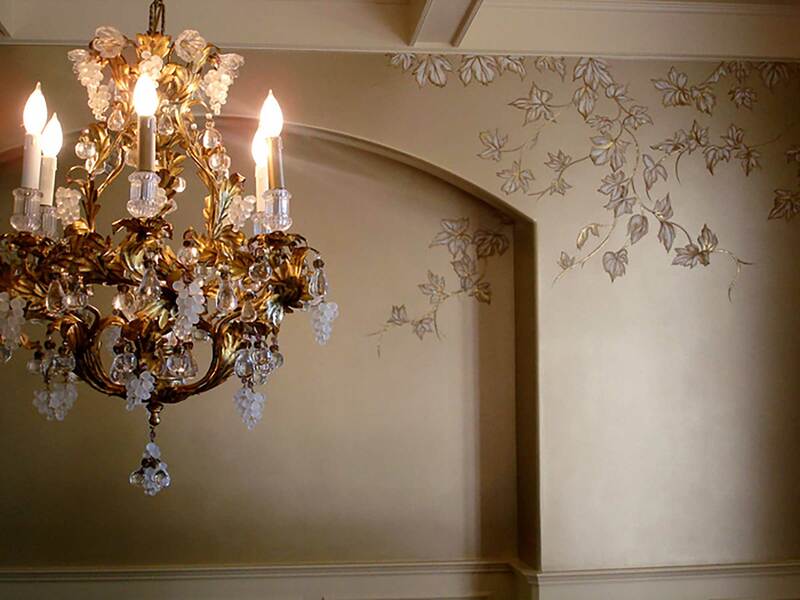 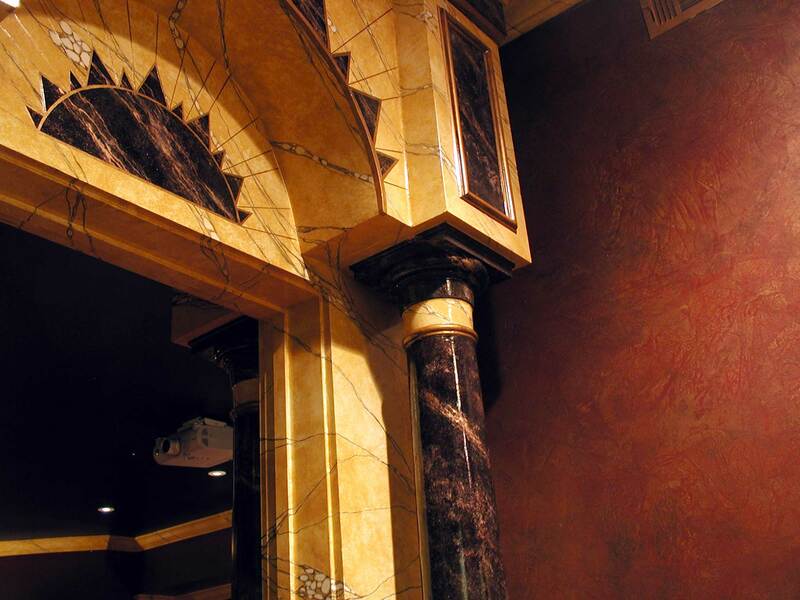 She also combines gold leaf, copper leaf, and silver leaf accents into a variety of finishes and decorative painting projects. 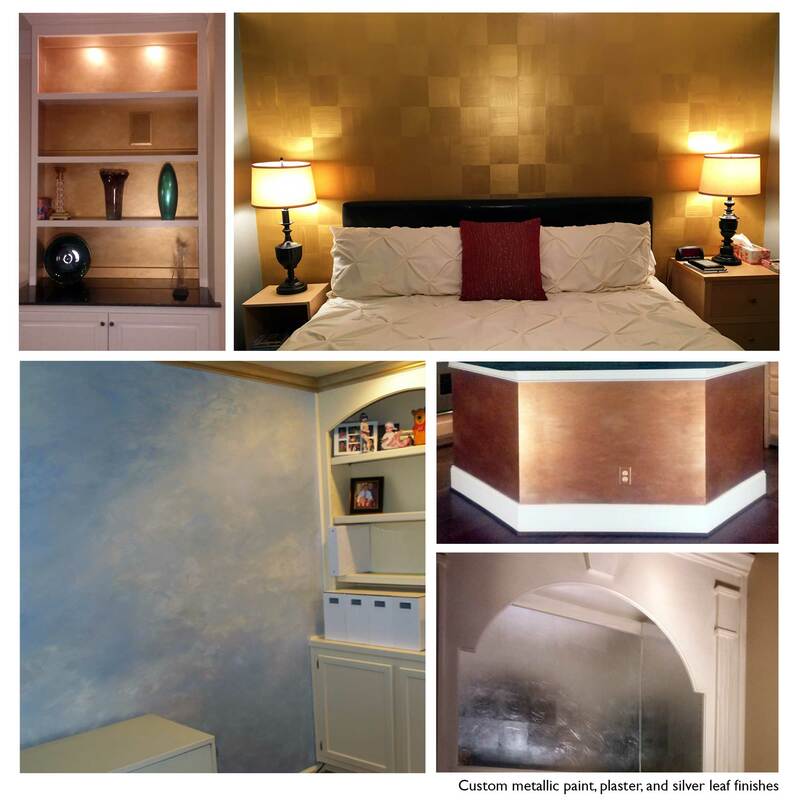 Metallic paints reflect the changing light of a room and create the feeling of depth like nothing else. 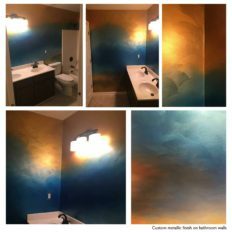 Megan enjoys the faux effects she can create with paint, much like the trompe l’oeil or “fool the eye” effects she creates in murals; wood graining, marbleizing, antiquing, leather, you name it, it’s always fun to make the viewer think a surface is something other than it really is.